Walking through my local Barnes and Noble location this last weekend, I stumbled upon a kiosk that was promoting the introduction of their new eBook reader...the Color Nook. This is a wonderful tool in the iPad mold, that offers those who wish to read their literature in digital format access to any books in the Barnes and Noble library. 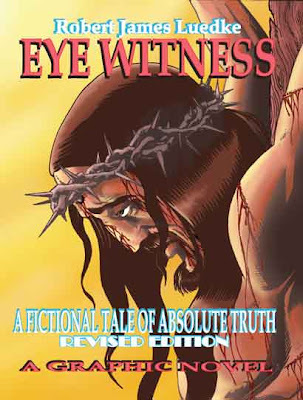 But when searching their sample for my Eye Witness graphic novels, I found they were not listed, even though they ARE in their online database and available for anyone to order in their printed version through their website. Doing some research on this subject I uncovered some wonderful news for small and indy press publishers...that Barnes and Noble has the process already in place to make your books (or graphic novels) available to anyone with a Nook reader...even though you might not be distributed by a major wholesaler (since that is not listed as a prerequisite for inclusion). Independent publishers and self-published authors are encouraged to sign up for PubIt!, our self-publishing platform. Through the site, you’ll be able to set up an account, load title data, convert files to ePub, and sell on BN.com. This is a wonderful opportunity for indy publishers who might have previously struggled to get their products into a mainstream bookseller like Barnes and Noble (and FYI...Books A Million also markets the Color Nook on their website). And for these big-box booksellers, it's an opportunity to stay on top of the current hot trend in readership. Go for it, my friends and brothers! Hey gang, just to update you on what's been happening lately, now that we are winding down from the 7 month long, Unknown God tour. Over the last couple weeks I've been interviewed on a number or radio programs around the country about our latest release, The Collected Eye Witness Slipcase Set. ...and coinciding with my appearance at the upcoming Wizard world Atlanta Comic Con, I'll be interviewed live on WATV's "Atlanta Live" program on Fri. Dec. 3rd at 7pm. Enjoy, share them with a friend and post any comments. In our quest to make the Eye Witness epic available to more readers than ever...not just in North America...but all around the world, we are happy to announce our new partnership with Drive Thru Comics, who markets their site as, "The First Download Comic Shop." 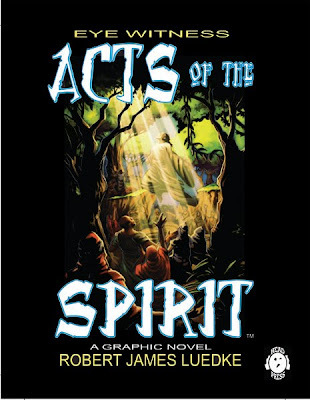 Available immediately for you to download from their site are, both, Eye Witness (Book One: Revised Edition) and Eye Witness (Book Two): Acts of the Spirit. The two titles are broken up into three chapters, each retailing for $1.99 (so if you purchased all three, you'll save 50% off the hard copy price). AND...as an additional incentive, Drivethru is offering the first chapter of Book One for FREE! For those of you who prefer to read comics on your ipad or iphone, Eye Witness Book One is still available for those applications/hardware through Comixology!